An outstanding season from Morningside ruckman Jacob Gough has seen him take out the club's Devery-Kelly Medal for the fairest & Best award, held at the Morningside Football Club on Friday night. The 27-year-old polled votes consistently throughout the season, collecting a total of 114 to win over Grogan Medal winner Nathan Kinch (111) and power forward Kent Abey (96 votes). 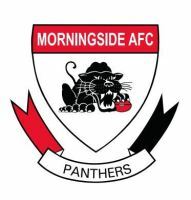 Since joining the Panthers as a junior Gough has had an outstanding career, playing in back to back premiership teams in 2003, 2004 and captaining his state. Season highlights include best on ground votes in round 5, 15, and 18 whilst in total he was in the top 4 on 10 occasions. In a close count between Kinch, Abey and Gough it was Kinch who led after 5 rounds by 11 votes from Gough. Abey dominated rounds 6-10 to lead by 1 vote from both Kinch and Gough. Abey extended his lead by 2 from Kinch and 5 from Gough through rounds 11-15. Gough then polled in all rounds 16-19 and hit the lead in round 17 for the first time and go on to win the Medal. Votes for the Best and Fairest are awarded by the Morningside match committee which consists of senior coach John Blair and assistant coaches Mark Holman and Craig McBrien. The under 18’s Best and Fairest went to Byron Spurling (114) with utility Jack Angus (73) runner up and rover Eddie Mallen (72) third.